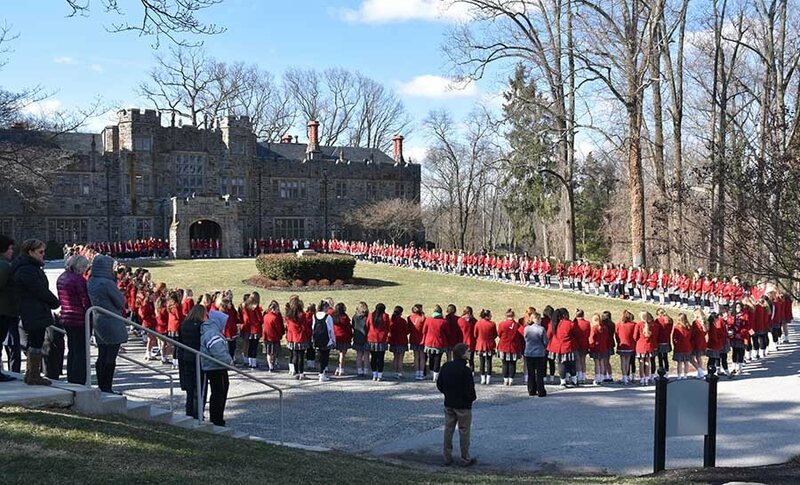 LUTHERVILLE – Silently and reverently, students from Maryvale Preparatory School pressed red flags into the ground outside their school as the names of victims of last month’s Marjory Stoneman Douglas High School shooting in Parkland, Fla., were read during a March 14 prayer service. Seventeen flags represented 17 lost lives in all, but there would be more. Maryvale students solemnly added hundreds of fluttering flags to the school’s Mary Circle for each of the approximately 500 lives lost to school violence since the December 2012 Sandy Hook Elementary School shooting in Newtown, Conn.
With the support of the Archdiocese of Baltimore, other schools throughout the archdiocese held similar prayer services on the one-month anniversary of the Parkland shooting. The services were held on the same day students in schools across the country staged walkouts to protest gun violence. James B. Sellinger, chancellor of education for the archdiocese, sent a letter to parents March 9 to inform them that all schools were encouraged to take part in a prayer service. Maryvale students stand in Mary Circle at the Lutherville school March 14 to honor lives lost to school violence. 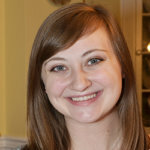 (Emily Rosenthal/CR Staff). The Department of Education provided a template to guide the leaders of the prayer service, which included recommended songs, readings, reflections and intercessions for the victims of violence, the solace and comfort of victims’ families and concern for the mental and spiritual wellbeing of young people. A similar template was offered to the parents for use in prayer at home. “We support our students and their interest in wanting to make their world a better place every day,” Ford said. The theology department at Maryvale, especially Mary Pat Tilghman, its chair, worked with students on the event. Tilghman and the ninth-grade students were on a retreat during the service, but were able to join through FaceTime. Faculty called the movement primarily “student-driven,” and said students from both the middle and high school were involved in its planning. Seniors Peyton Bleach, Paige Connell and Brooke Yanaga were among the student leaders. The students made the decision to hold the service outside, combining the prayer service with a walkout to indicate the need for action. Yanaga said that the students were inspired, in part, by the conflict that has surrounded the recent tragedy, with many saying that prayers are not enough.